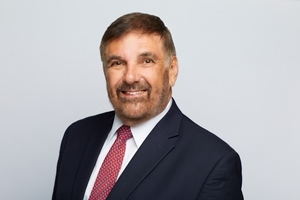 Ed Sajecki joined StrategyCorp as a Senior Advisor in 2018 after an extensive career in public service. Ed is the former Commissioner of Planning and Building for the City of Mississauga, where he had overall responsibility to provide professional advice on matters of planning policy, development applications and building construction. With a population of 750,000, Mississauga is Canada’s sixth largest city and the second largest city in the Greater Toronto and Hamilton Area. Ed has been responsible for overseeing planning approvals and building permit issuance in excess of $1 billion construction value annually since joining Mississauga in 2003. Prior to that, he was Assistant Deputy Minister with the Ministry of Municipal Affairs and Housing of the Province of Ontario, responsible for land use planning, building and housing. Before joining the Province, he was General Manager of Development and Infrastructure of the City of Burlington as well as Chief Executive Officer of the Burlington Economic Development Corporation. Mr. Sajecki has wide ranging senior executive experience in urban planning, development and management with Canadian local governments and was Commissioner of Planning and Economic Development for the former Cities of Etobicoke and York. He has also served as General Manager of Planning and Development for Eastern Canada for Canadian National Real Estate. Mr. Sajecki is a civil engineer and professional planner. He has international experience related to local government in Asia, Africa, Eastern Europe and the Caribbean and has provided advice to governments on strategic planning, sustainable development/smart growth, and economic development. Mr. Sajecki holds a Bachelor of Applied Science (Civil Engineering) from the University of Toronto and a Master of Science (Urban Studies) from Salford University in England. He also completed the Executive Management Program at the School of Business of Queen’s University and has taken courses in Mixed-Use Development and Urban Waterfront Planning at Harvard University. Ed is a member of the Board of Directors and a past president of the Association of Ontario Land Economists (AOLE); sits on the Advisory Board of the Urban Land Institute’s Toronto District Council and the Advisory Committee of Ryerson University’s City Building Institute; and is a past Board member of the Canadian Urban Institute (CUI).